This is not a secret that when a web development business starts, most of its processes from the very beginning are grounded on human resources. But as it evolves, the company’s chiefs ought to make the workflow more productive and at the same time cost-efficient in order to expand their product on the market. Today we are gladly sharing the use case of BlueBox, the British web development company, that started using Jelastic 4 years ago in order to optimize the work on projects, accelerate time to market and boost their product globally. 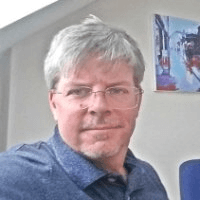 Paul de Villiers, BlueBox Chief Architect, highlights the insights from using Jelastic PaaS on top of Layershift Multi-Cloud hosting provider. Can you give a flashback to reasons for choosing Jelastic? We’ve been in Linux software (basically PHP and MySQL) development on Apache servers for 20 years. We started in 1997 and in the first 10 years we’ve always had to have a small team of Linux technicians looking after our servers, our deployments, and all of the different hardware that we were operating on. When we found Jelastic, we were just starting to struggle with retaining the staff in our Linux department, and Jelastic has meant that we don’t need another Linux technician as it was a turnkey Platform as a Service and it was very easy to deploy and scale. Basically, the call center staff now deploy servers and we don’t need any advanced technical skills. So Platform as a Service literally has transformed our business. 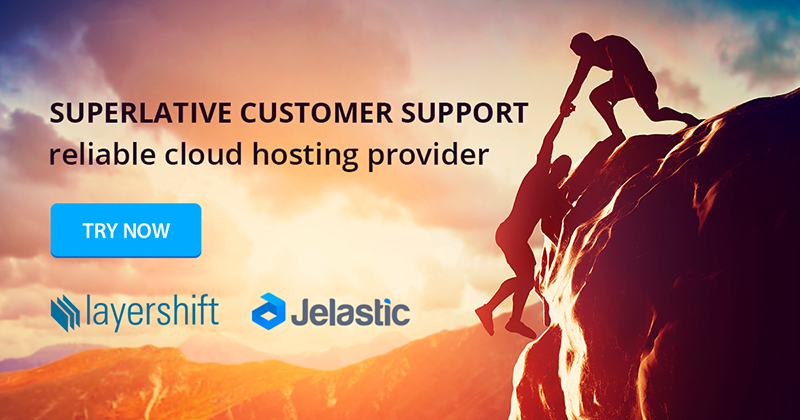 We joined Jelastic since its early days (back in 2013) and it’s been a wonderful journey supported by a great service from Layershift. Choosing a reliable hosting provider is very important because sometimes we don’t really know how to handle a specific technical issue or something else. I like the fact that Jelastic has no vendor lock-in and we can experiment with other Jelastic hosts (for example we are also considering MIRhosting provider). Please, tell us about your customers a bit. They are b2b mainly and we have some b2c customers as well in retail. BlueBox ERP is like a small version of SAP and we market this software to small and medium privately owned businesses. Basically, we’re slowly moving away from ERP and just because we’ve got 30 or 40 ERP clients, we’ve already got hundreds of loyal customers worldwide. During the last few years, we are developing Software as a Service product. Four or three years ago we developed Loyal2.com, a loyalty platform for small businesses (coffee shops, restaurants, etc). And very soon we are going to launch a new retail system. So the two will hold hands together in the Cloud. We just feel that Software-as-a-Service is a much more scalable, easily manageable plan for business models. And that’s when Jelastic comes in. Currently, we have several environments in two regions of Layershift – in Europe and the USA. But if we get customers in other parts of the world, we can easily create Apache server and MySQL database containers within Jelastic service providers having the needed replication and synchronization. What alternatives did you consider before choosing Jelastic? Before Jelastic there were just Linux servers sysadmins, so we just got dedicated servers from various companies. I also tried Heroku and played with Google App Engine. The thing that makes me pull away from Google App Engine and Amazon Web Services is your user interface: makes life easy for me and my team whereas those other UIs are just terrible. It’s too much hard work to use those platforms and in Jelastic we just know how it works. So it makes a big big difference for us. Did you face any issues while migrating your applications to Jelastic? We had some minor one, and Layershift helped. For example, there are a couple of things requiring deep level Linux permission related issues. So we get them involved at that level, but we try not to bother support very often, as sometimes it’s 2:00 in the morning and you really don’t want to have to wait for support. At the same time, I must tell you that Layershift at 2:00 AM respond in 10 minutes :-). It’s amazing! When deploying an application, do you need VCS or you deploy binary? Currently, when we do a new installation we use a script that, basically, goes and gets the latest version of our platform, copies it, unzips and unpacks onto the server. But now we are looking at scaled Software-as-a-Service deployment to make the installations easier and faster on demand. Comparing your business before Jelastic and now, can you feel the change in spendings? It’s definitely cheaper: before we used to have three full-time working Linux technicians, and with Jelastic we do not need sysadmins anymore. Basically, we were able to get rid of three salaries by having Jelastic. The pricing model meets our requirements absolutely. And when we started working with Jelastic, we got full control over our costs. I can see exactly what my daily spend is and which servers are costing more than others. I love that Jelastic is very granularly accurate in that term. Also, you recently added a possibility to download the billing history for the entire account that provides even more control over our costs. Can you provide a small feedback on the platform in general? All we really do is deploy MySQL and Apache service and edit the ini and cron files that are related to that. It couldn’t be easier than in Jelastic and if we have an issue we can restart a service and that’s also super easy, so yeah, every now and then we’ll SSH onto a box. BlueBox is considering using Jelastic Cloud Scripting technology to package and distribute its applications across different Jelastic cloud hosting providers. That will help us get rid of about 20 steps going through and making sure we configure everything correctly. Also, I’d like to admit that we used the alert system a lot: when a hard drive is reaching 80%, we receive the alerts with notifications that an app uses too many resources. It’s very useful and we can control the resource usage. What about the performance – it is very good. Jelastic looks the same on the interface but it may slightly vary in terms of performance based on the chosen hosting provider. A combination of Jelastic PaaS and Layershift make the whole solution super fast and super state-of-the-art. Please share some of your company’s plans considering Jelastic usage. We plan to have Jelastic servers all around the world so we’ll use several hosting providers of Jelastic in the Middle East, the Far East, and other regions. That way we’ll just choose Jelastic hosts wherever we go, and they almost need to do nothing for us because we already know the platform and can just launch that Jelastic server and get it running. We are more than happy to discover that Jelastic PaaS helps BlueBox to reach new heights and scale their business, benefiting from a full control over hosting spends. Ready to join satisfied cloud customers? Test drive Jelastic at one of the globally-presented hosting providers and we bet you’ll like it!